Sign your child up for our last movie star experience of 2016. Actor's Assistance proudly presents - The Dreamalit. We're here to help! Actors assistance helps talent improve their chances in the film industry. We help with classes, agent opportunities, head shots, private coaching, audition submissions and movie making programs to build demo reels. We only do things that will benefit and assist actors. 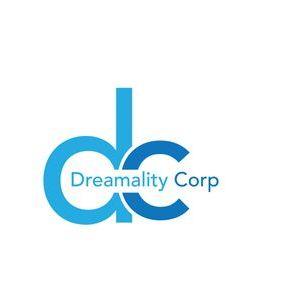 "The Dreamality Corp" is designed to help kid actors with their career. Our founder Countrified Wedman has been in the business nearly 15 years. Countrified started off as an acting coach at John Robert Powers in Beverly Hills where he excelled as a coach drawing the biggest classes until more classes had to be added. Country later started his own school in Hollywood, CA called "ACTION". He has trained many kids that has appeared on national projects through his programs. He also has appeared on many T.V. shows, commercials, and movies such as Parenthood, The Young & the Restless, HEROES, Southland, America's Most Wanted, Jay Leno, Date Movie, Ugly Betty, My Name is Earl and many others. Please click Here to see a promo of some of Countrified's work. He has just released an auto-biography titled 'My First 35' based on the first 35 years of his life. This book is great for actors, as Countrified details valuable techniques to becoming successful in this business. 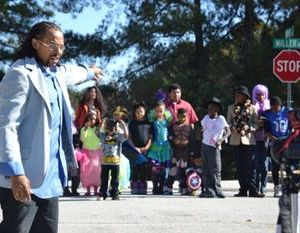 Do you want your child to be a part of the surge of Hollywood productions filming in Atlanta? Then you must respect the process and get your child the proper training in order to be affective in the industry. It’s so many standards and protocol procedures that Hollywood goes by that most people won’t know without the proper training. Unless you’re lucky, your child will be sitting on the side, due to lack of training and knowledge, while the kids with training are selected. We’re the Dreamality Corporation and we have different acting programs for kids and we’re introducing to you our movie star experience program. Your child will be able to go through the process of a movies star. Your child will receive a character, rehearse for 3 weeks and film a short film on week 4. After the film is completed the kids will return for a red carpet movie premiere. The Dreamality Corporation is setting up a great innovative fundraiser to help adult actors while raising funds for the kids. 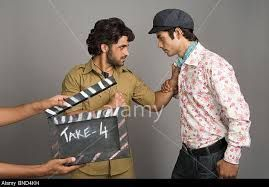 The movie making program is dedicated to help actors improve their acting skills and gain knowledge on how to work as a principal actor on a set. 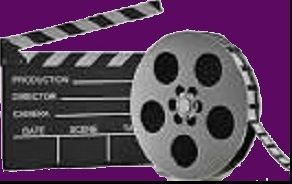 Actors will have the opportunity to learn and participate in a short film. It’s great to participate as an extra on a project but your real passion is to act. This means have lines that you will deliver on camera. This program will benefit you in a few different ways. You will be able to use the footage for your demo reel and put the credit on your resume. This work ethic alert other casting directors that you have been putting in work and is considered a serious actor / actress to cast. The best part about it is that this is considered a fundraiser and you will be able to tax deduct any donations giving to the program for you to participate. We will need your full cooperation if you choose to take one of these programs. Your absences will affect the entire group so make sure you can be at class on the required days. Note: This is not a real movie for theaters, this is a program to help actors work on their craft while they building a demo reel and resume. If you see a role you would like to play in one of the short films, please send us a message or email with the character you would like to play. We will respond alerting you if the character is still available. If the character is available you will have the opportunity to secure your spot by paying a deposit or full payment. Also feel free to sign up for any of the adult roles you see listed in the kids program. Note: If selected for a character there is no guarantee that you will play that specific character but there is a guarantee that you will play a role in the film. If you pay a particular amount for a role, you will play that role or a role equivalent to that one. Most actors must know that you must invest in yourself if you want someone else to invest in you later. This means taking classes, photos and building your demo reel. Some places around Atlanta charges on average $450.00 to set up a scene for you to shoot for a demo reel. Lots of times its just one scene, no resume credit and the actors never learns set protocol. Our program takes this process to then next level and allows you to participate in a short film. We combine acting class with filming a movie. It's a one stop shop. We can keep the donation price at a reasonable rate by selecting low budget projects to film and having a larger group participating. Note: The donation price is based on the amount of involvement the character has within the movie. The funds raised from this projects will be directed toward operations and the kids projects developments. This is a great way to get trained, gain movie set experience, build a demo reel, help kids, and build resume'. This movie is about a marriage counselor that runs a unique experiment on a group of couples to try and save their marriage. This unique program sparks outrage throughout the community. This program works for some couples and didn’t for others. This short film will have you analyzing the needs of men and women in a relationship. If interested in taking programs please click "sign up for classes" above.